The chateau Meung is one of the largest and most ancient chateaus of the Loire Valley. Until the Revolution, it was the prestigious residence of the bishops of Orléans and welcomed some great names in French history. Everything begins with the 1st chateau which served as the framework for the treaty of 861 between Robert le Fort ("the Strong") and king Charles le Chauve (the Bald), which marked the start of the ascent of the Capetian dynasty. 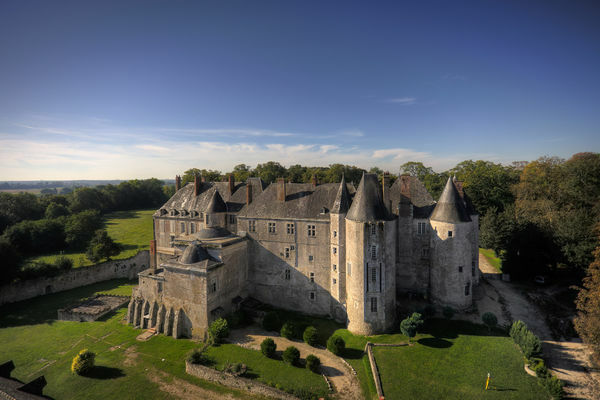 The Meung chateau was also a strategic location in the conflict which opposed the English against the French during the Hundred Years war: Jeanne d’Arc (Joan of Arc) released it after her victory in Orléans. Many kings stopped off there such as François 1st, Charles VII or Louis XI. It experienced times of glory, especially on the eve of the Revolution when the bishop of Orléans, Jarente de la Bruyère invested his entire fortune in it to recreate a small Versailles. The chateau also has its dark side: it served as a prison. Its most famous prisoner was the poet François Villon. Bought upon the Revolution by one of the founders of the Banque de France, for several years now the chateau Meung has been a private residence open for tours. There is no review about Château De Meung-Sur-Loire, be the first to leave one !